View of “Michelle Grabner,” 2013–14. Foreground: Replica of The Suburban. 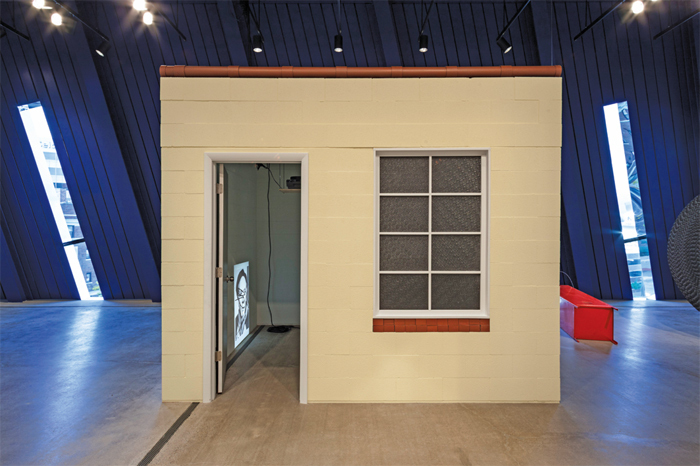 Inside, left: Karl Haendel, The bridle from the saddle and the cow from the cattle (detail), 2013.